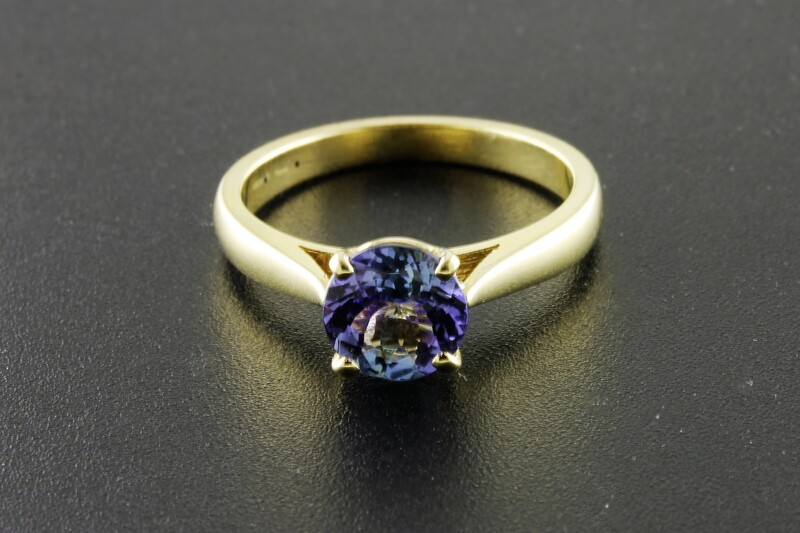 The simple design of this ring showcases the lovely, vibrant hue of the tanzanite stone. 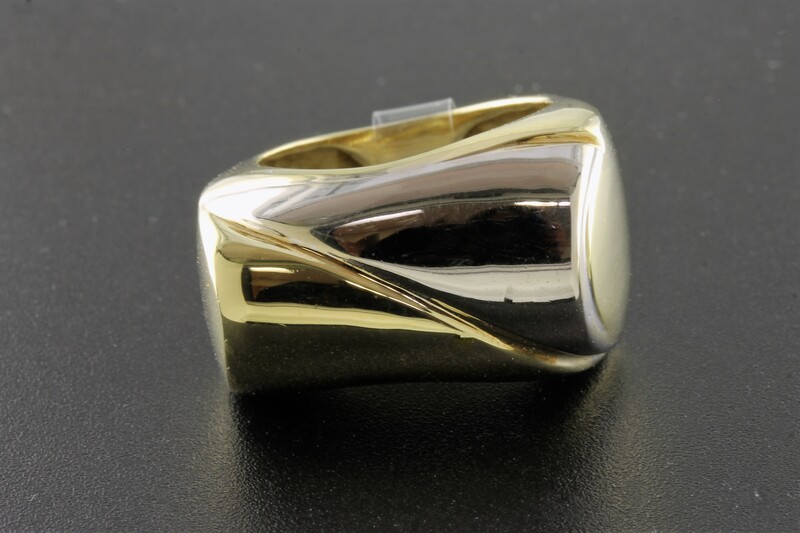 This ring has a cool and contemporary vibe. 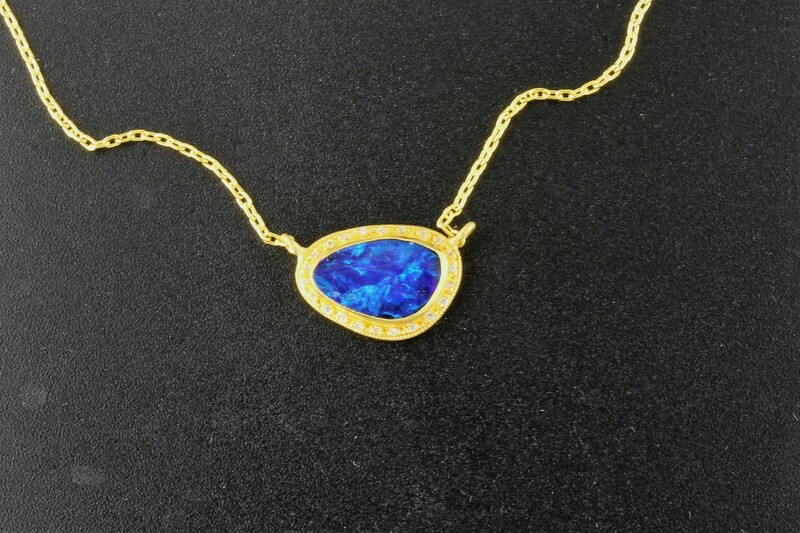 The combination of yellow and white gold makes it very versatile. A beautifully detailed piece. 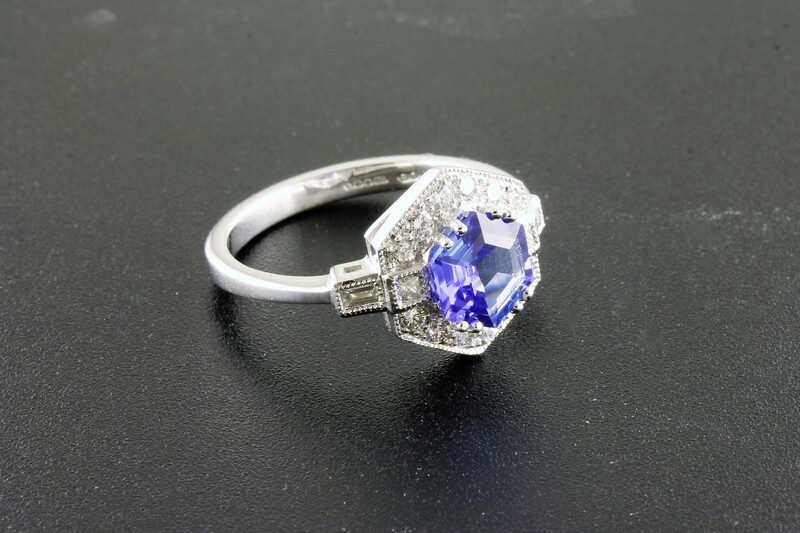 The hexagonal cut of the vibrant tanzanite is unique and eye catching. 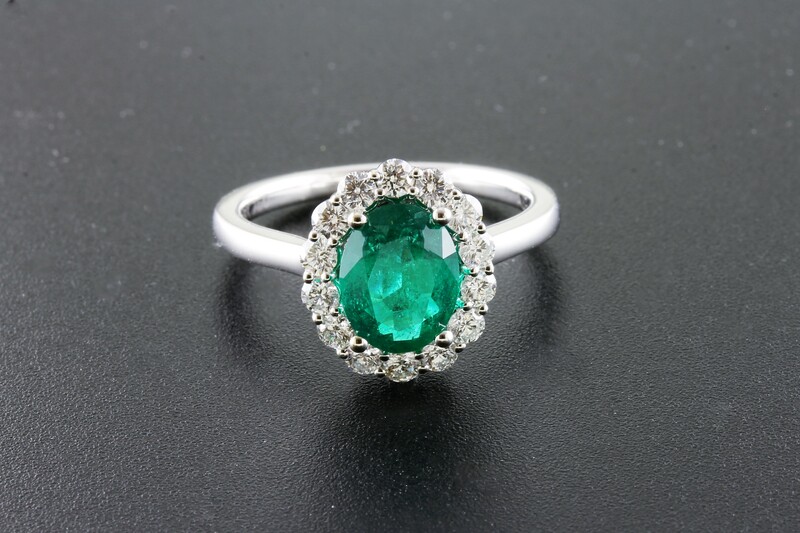 A lush and vibrant oval faceted emerald is the centerpiece of this ring, surrounded in a halo of sparkling diamonds. 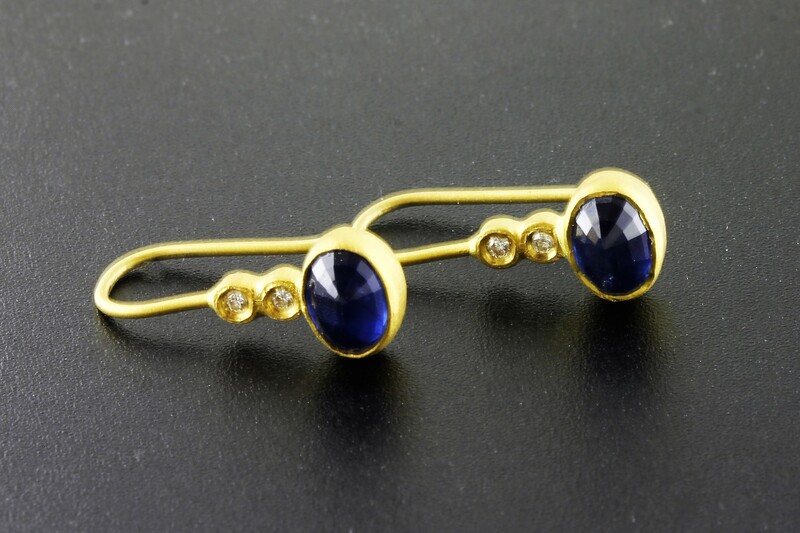 These lovely earrings are handcrafted in Turkey. 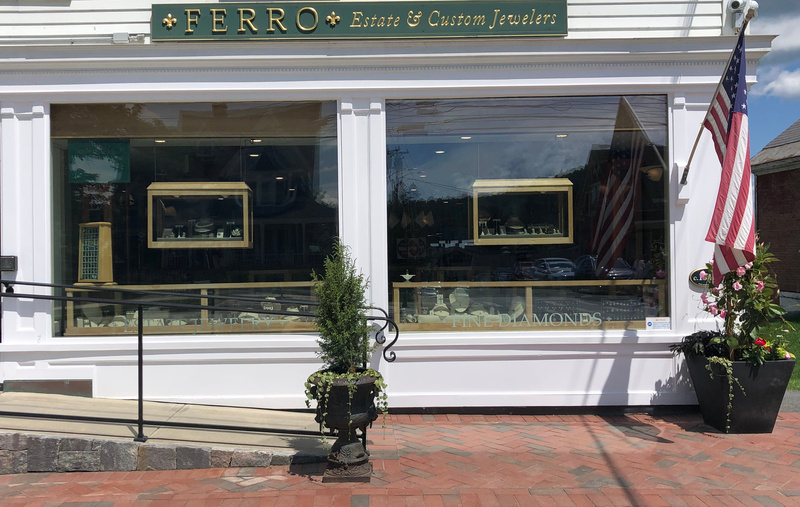 The sapphires are that perfect bright, luminous blue hue and the sparkle of the small diamonds compliments the brilliant sapphires quite nicely. 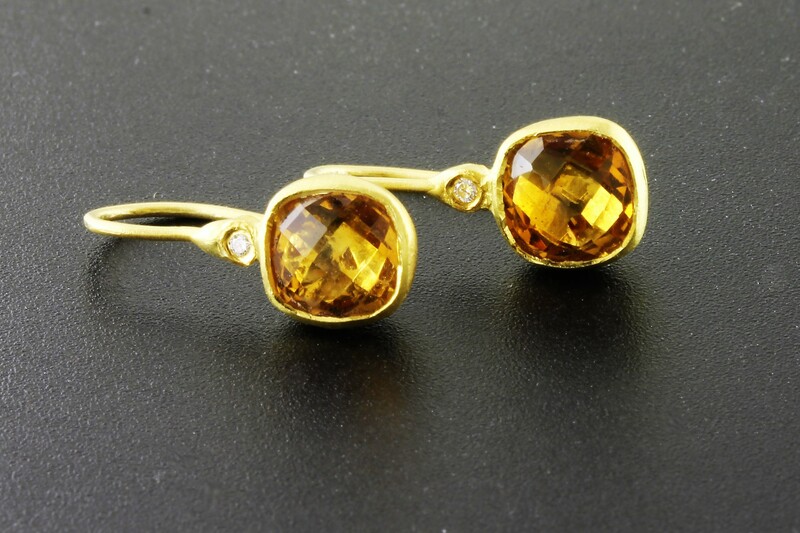 The deep golden glow of the citrine is a perfect accompaniment to the brushed 24kt yellow gold. 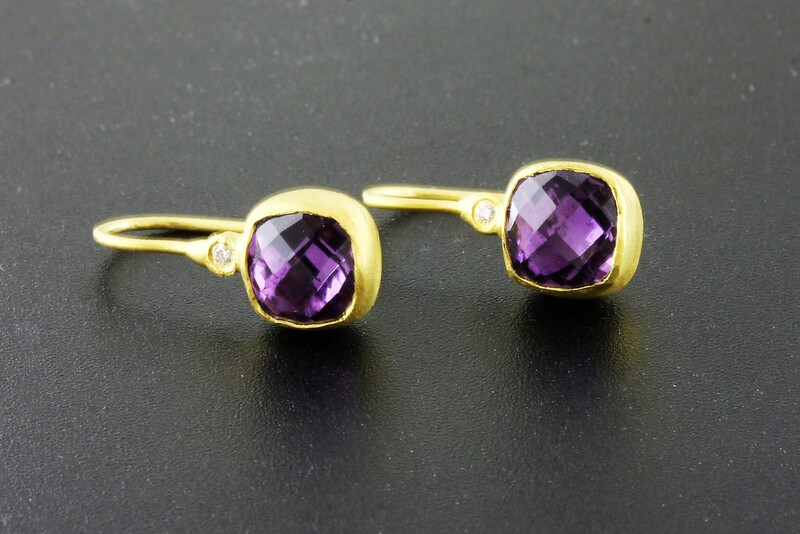 Gorgeous amethyst surrounded in rustic 24kt yellow gold. 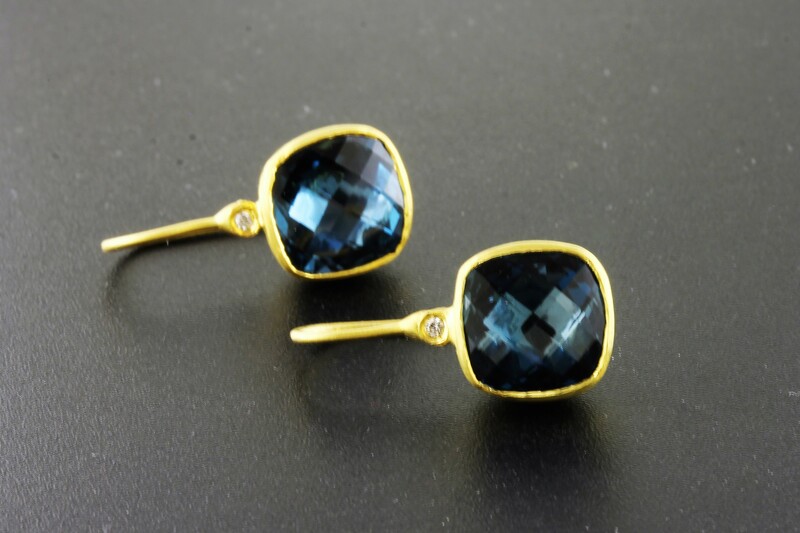 The rich color of the blue topaz is complimented by the warm glow of the 24kt yellow gold. These earrings are handcrafted in Turkey. 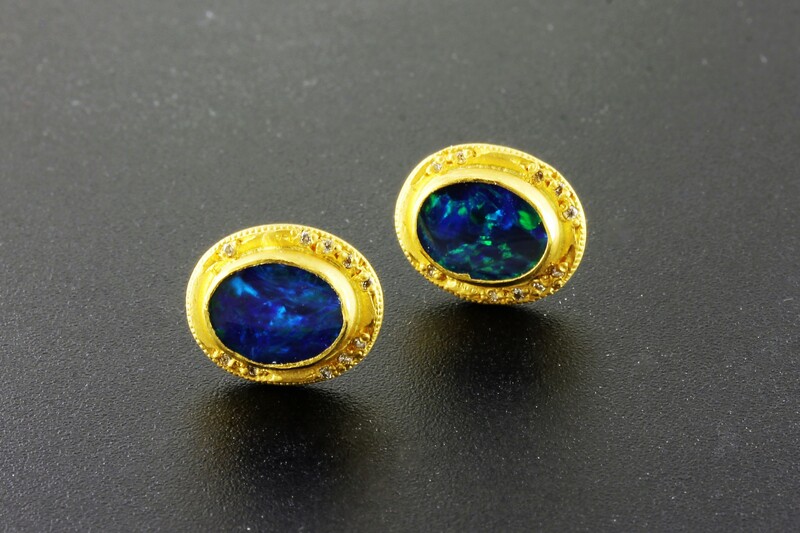 The opals have a brilliant fire that flashes blue-green and twinkling little diamonds set in the outer edge of the earring. This fun and funky ring is perfect for every day! 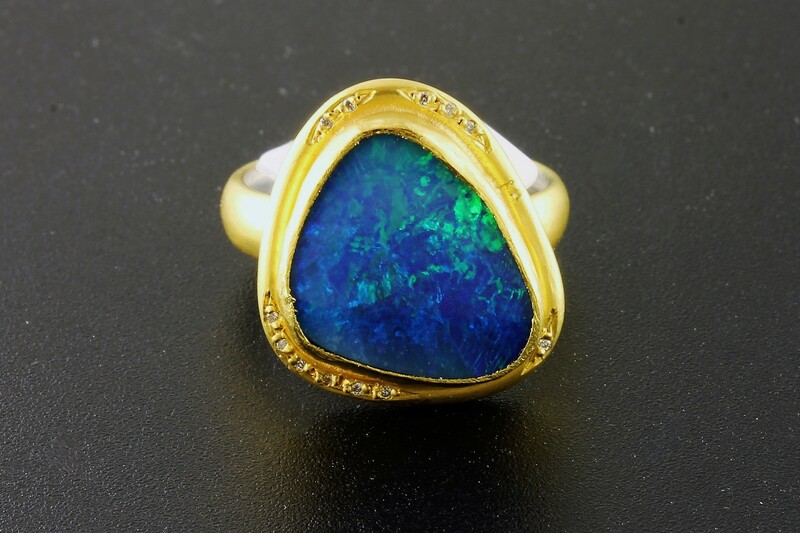 Very unique ring with a beautiful opal of blue-green fire and a sprinkle of diamonds. 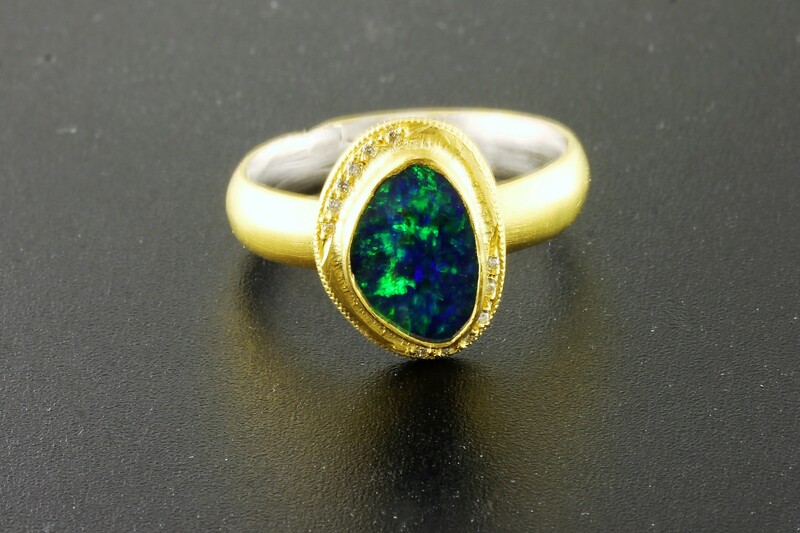 Brilliant flashes of blue and green fire accented by the twinkle of small diamonds.